Spark Alliance Marketing is proud to announce Hostess as our newest client! The Hostess brand has returned and is stronger than ever. 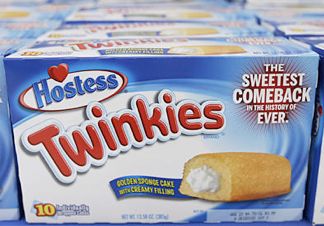 Twinkies, Ding Dongs, Ho Hos, and other Hostess snacks have been considered a staple of American consumer products for decades, and with Hostess’s comeback, these products are flying off of the shelves. Spark Alliance Marketing is extremely excited to represent Hostess as they make the sweetest comeback in the history of ever.